Since we were away from the blog all summer, I thought it would be fun to share some photos of a few of the things my family and I did over our break. We did so much that even after narrowing it down there was so much I wanted to share with you. Prepare for a photo overload! 1. We became members of the Monterey Bay Aquarium which is seriously one of the coolest places. I especially love all the jellyfish! 3. We got on a lot of airplanes this summer! The kids love watching planes take off and land while we wait to board. Jim and I dropped the kids off with their grandparents in the Midwest and continued on to NYC to celebrate our anniversary and attend the wedding of two of our dear friends. 4. 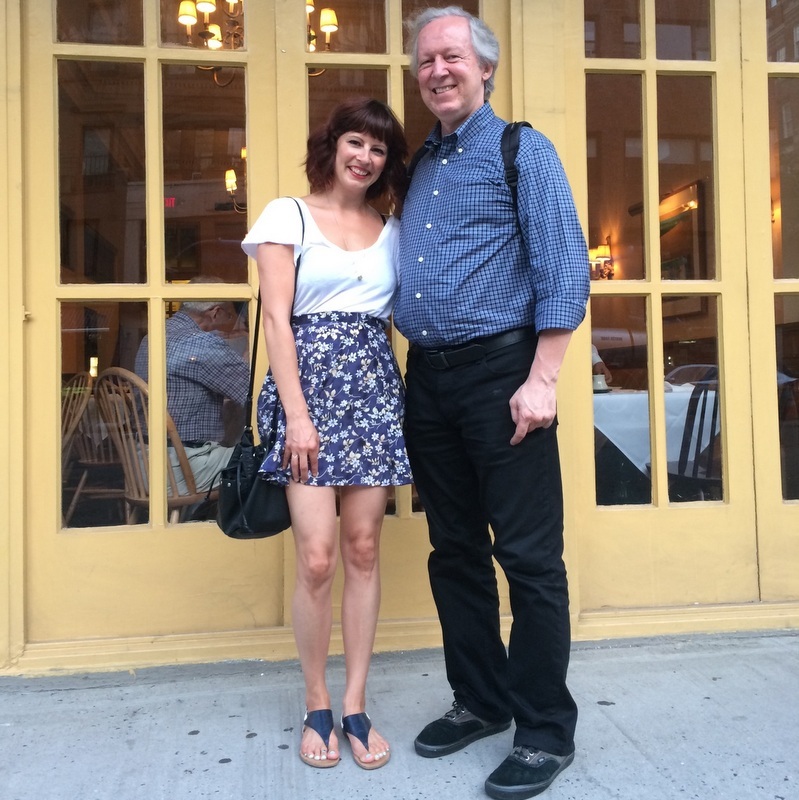 While in NYC, I had a wonderful dinner and even better conversation with Ally! I am so happy that I got a chance to see her and introduce her to Jim. 5. Jim and I spent a week in NYC to celebrate 10 years of marriage. It was magical. 6. Speaking of marriage, we then headed upstate NY to attend our friends' beautiful wedding. I got to get henna, which was amazing! 7. After the wedding weekend, we headed back to the Midwest to spend a week in Jim's hometown, LaCrosse, WI. His parents still live there and both of his sisters and their families joined us for a few days, too! 8. We did a lot of swimming while in LaCrosse. My kids are little fish. 9. Mimi and Ben loved seeing their Beyers-side cousins. They all have so much fun together. 10. We then headed to Minneapolis, my hometown, to spend a week in the city. I got to see lots of friends and family while in town. 11. The birds were reunited. 13. More wedding fun happened. This time, with the kids! 14. We then headed up north to spend a week in the wilderness with my whole family. We did all the kayaking, canoeing, swimming, boating, fishing, tubing, beer drinking, bonfiring, laughing, crying, eating, and just plain hanging out. It was glorious. 15. I love these amazing ladies. 16. We celebrated Ben's 3rd birthday on an airplane headed back to California. He didn't seem to mind seeing as he got to play on the iPad for almost the whole flight. 17. We took advantage of being back in California. We love beach days! 18. We bought an awesome new bike. The kids really enjoy being carted around in this thing. It's awesome for Farmer's Market trips. 19. We did some camping in the Santa Cruz Mountains with some of our best friends. 20. This girl started kindergarten! And there you have it! My summer in a nutshell. A nutshell filled with photos! I have really loved seeing all of you girls' updates via social media over the summer. I feel like a slacker in comparison! You guys were busy! So many fun things this summer! I am happy I got to see you when you were here! And I'm pretty jealous of your beach days! Hey Kez, come to New York! Holy cow, you were busy! You did a great job capturing all of the moments too. You are a really good photographer! Hey! How did I get in there?! *blushing* Love seeing pics of your Summer. That is one fabulous summer! Glad you took the time off and also glad yo shared this with us. I am so happy you met Allie! You look so happy and relaxed and the kids look as though they are having a ball! What an adventure! A great photos too, the aquarium looks amazing. I love your new bike, it would almost fill the roads near where I live, they're so narrow! This is what's life's about right? Good times spent with people you love, making memories to treasure forever.